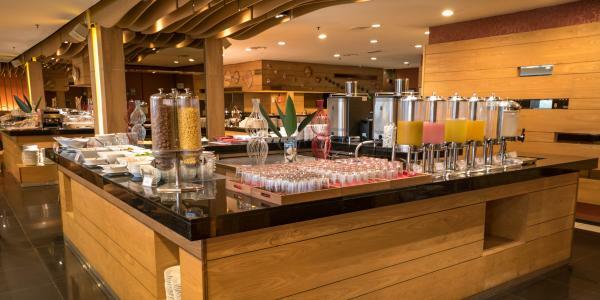 At Klagan Regency, you will discover a wide spread of delectable cuisine from local to international. Enjoy your meals at our modern designed restaurant which offers spectacular views of the surrounding areas. 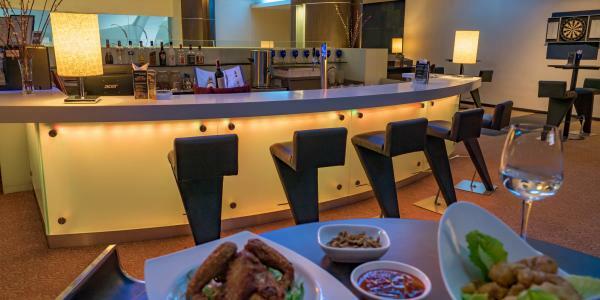 Relax and chill out in the cosy bar and lounge overlooking the lobby. Or if you prefer your privacy, In-Room Dining ia available in the comforts of your own room. All day dining coffee house with a seating capacity of 170 persons showcasing tantalizing international buffet breakfast spread complemented by its wide selection ala carte menu to satisfy even the most discerning palate. Ideal place to relax, chill out and unwind and is a perfect venue for a sensual yet cozy evening gathering with friends or even celebrate an occasion. 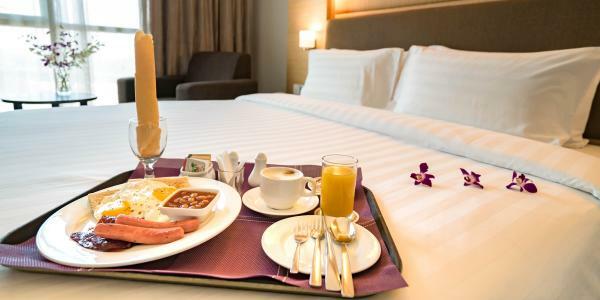 Our Room Service menu provides you with a selection of light and easy cuisine for your selection and enjoyment in the privacy and comfort of your room.